Small town looks to tourism and trails to revitalize economy. Could this strategy help in Seeley Lake? 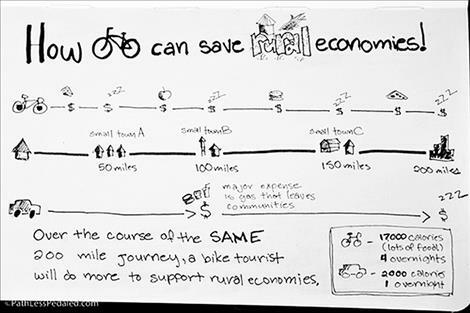 A diagram by thepathlesspedaled.com showing the ways touring cyclists benefit rural communities. A Land of the Yankee Fork State Park staff member rides near Blue Mountain on the Lombard trail shortly after the trail had been cut. CHALLIS, IDAHO – Mining and ranching is the main economy of Challis, Idaho. When the Thompson Creek Mining Company, a molybdenum mine west of Challis, ended their mining operations in 2014 the bust in the economy rattled the community. At its peak, the molybdenum mine employed around 400 people accounting for more than half of Custer County's tax roll. Today, around 50 remain. Like many communities in the west, Challis is looking to tourism to help diversify and bolster their economy. Similar to Seeley Lake, Mont., Challis is surrounded by public land with 90 percent of the land in Custer County owned by the state or federal governments. It accesses the Frank Church Wilderness, the largest wilderness area in Idaho. 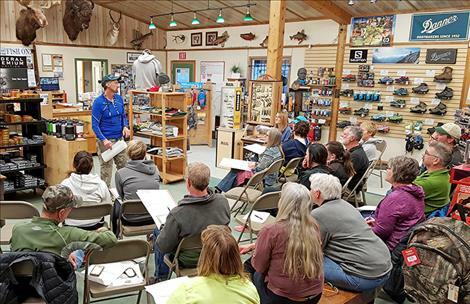 This offers ample opportunities for recreation including hunting, fishing and access for motorized and non-motorized users but the Challis Chamber of Commerce struggles to get businesses interested and involved in making things better. 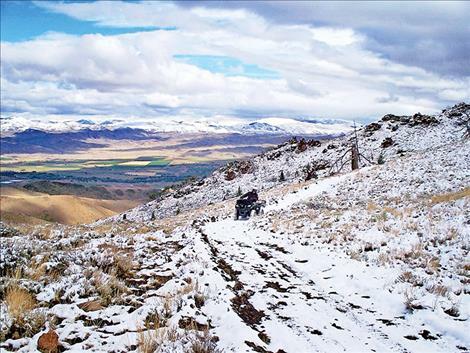 It wasn’t until 2010 when the local, state and federal agencies created the Lombard Trail for ATV and side-by-side riders, that there was a direct connection for recreationists to Challis. While the community did not initiate the trail, the businesses that have shifted their business model and embraced the visitors are seeing an economic boost. Established through a cooperative effort between The Great Basin Institute, the Challis Field Office of the Bureau of Land Management and the Idaho Department of Parks and Recreation, the Lombard Trail is the only trail in the area purposefully designed for recreating. It connects Challis directly to Bayhorse Ghost Town, an old mining site founded in 1877. “[Before the Lombard Trail] there was access but not directly from the interpretive center. This put a trail straight from here, up over the mountains and connected to the center of the other trail system,” said Joni Hawley, park manager at Land of the Yankee Fork State Park. 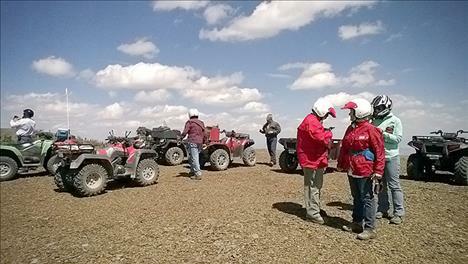 Challis allows ATV and side-by-sides to be ridden in town everywhere except highways and the main expressways with the proper licenses. The Village Inn encourages their guests to unload their four-wheelers, park their truck and trailer in the back and ride from there. “People are blown away by that and they love it,” said Challis’s Village Inn manager Stacy Mills. The Village Inn in Challis also added ATVs and side-by-sides to their rental offerings in 2017. Mills said the two side-by-sides went out every day and were the most popular with the tourists because they are safer for two people. The locals enjoyed renting the two ATVs. “We took a chance on it and it took off a lot faster than we thought it would. I think this year will be 50 percent more,” said Mills. In 2012, the University of Idaho in cooperation with Idaho Department of Parks and Recreation surveyed Idaho’s registered off-highway-vehicle owners. They reported that during 2012 riders took nearly one million trips across the state spending $434 million. Trip expenditures including groceries, dining, lodging, fuel and retail items accounted for $186 million and $248 million was spent on equipment investment. In Custer County, of which Challis is the county seat, riders took 21,000 trips on off-highway-vehicles. Three-quarters of these were from visitors outside of the county. While the county economy took in $700,000 in trip expenditures, 85 percent of that came from local riders. Similar to the rest of the state, they failed to capture most of the trip expenditures from their visitors. Webster and Mills agree that an organized community effort to accommodate tourists who are already in the area would help Challis become more of a destination rather than a stopping point. However this change is one of the biggest challenges. 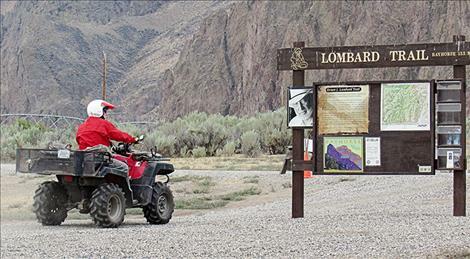 While there was support locally in Challis for the agency-initiated Lombard Trail, Troy Elmore, Off-Highway Vehicle Program Manager with Idaho Department of Parks and Recreation, said that another agency-proposed trail to connect Challis to two nearby towns met some resistance. The communities were concerned about increased use of roads, emergency and other municipal services without an economic return. Elmore thinks projects connecting communities via trails, much like the Seeley Lake Trails Project, would be more successful if initiated within the communities and land management agencies helped by offering support and expertise. Webster thinks that if the community comes together, they will be more resilient to the changing economic times. While no official numbers for the Lombard Trail use are available, the number of vehicles visiting the Bayhorse Ghost Town increased from 7,049 in 2015 to 7,831 in 2017. Hawley estimated an increase of 400-500 more vehicles per year on the Lombard Trail just over the last three years. Some in town are looking for ways to build on that momentum, including diversifying recreation opportunities. For example, The Bent Rod expanded their inventory to include trail running and backpacking gear, reaching customers beyond hunting and fishing enthusiasts. Being trail runners themselves, the Websters realized how many local runners were in the area. They were also able to capitalize on The River of No Return Endurance 25K, 50K and 108K Runs started in 2014. 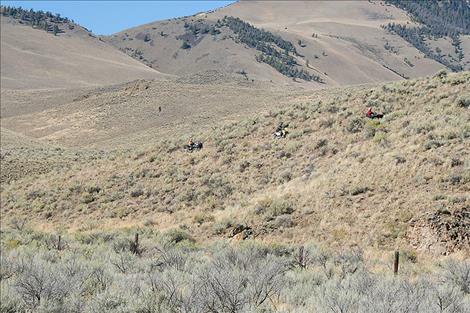 The runs start and end in Challis, utilizing local ATV and motorcycle trails including the Lombard Trail. Mills told the story of an endurance runner from Maine who came for The River of No Return Endurance Race in June. He returned the next month and rented a side-by-side with his wife from The Village Inn. 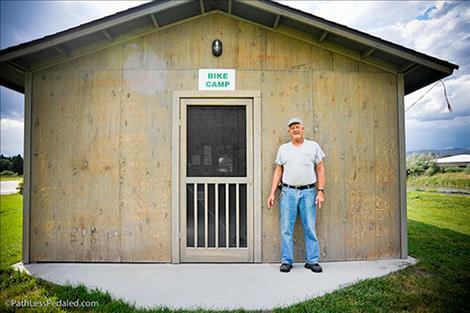 “He wanted to show his wife the trail system that he ran on and the views of the area. That was exciting for her. She loved it,” said Mills. The Land of the Yankee Forks also started the annual three-day “Ride the Bayhorse” event in 2009, which now makes use of the Lombard Trail. 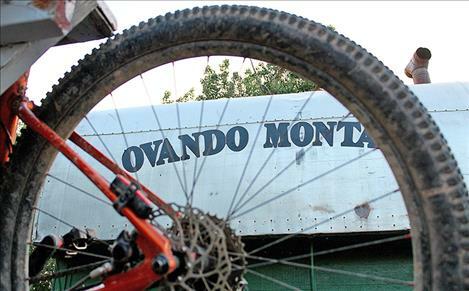 It has become a marquee event that helps build broader interest in tourism for the region and gets locals out on the trails. Mills thinks that if the Lombard Trail would allow four seater side-by-sides with up to 60-inch wheelbase (currently a 50-inch restriction) the use would increase exponentially. For Mills, promoting the recreational opportunities in the area to his customers and other visitors is paramount in helping them understand what the area has to offer. For more information about trails in Idaho visit http://trails.idaho.gov.